This year I decided to do something different with my turkey. Brining. This was something I had never heard of till this year and now that I know of it I will never cook another turkey any other way. So what I have decided to do is write up a little post describing the process I took. But before I get to that here is the basic recipe for a turkey brine. Now the items on this list can really be anything you want as long as the salt to liquid ratio is kept to 1 cup salt per 1 gallon of liquid. The amount of liquid will depend on the size of the turkey. 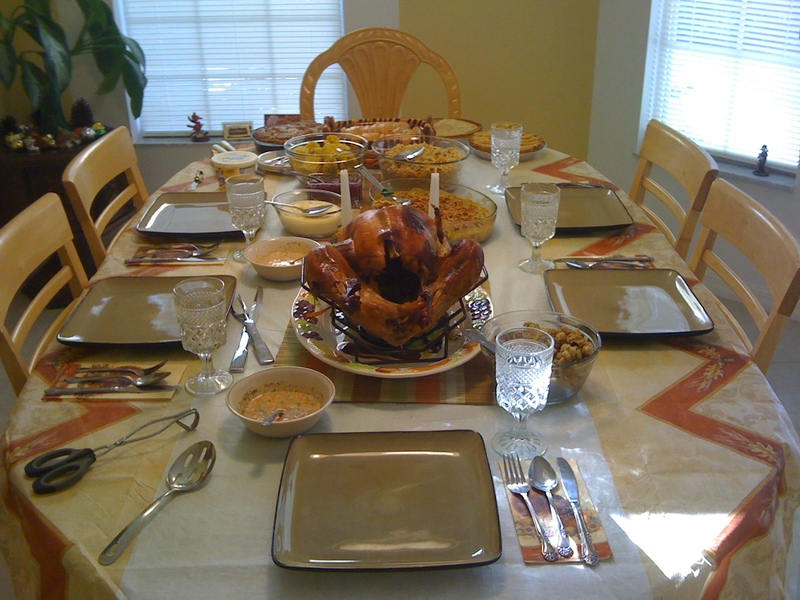 You will want to have at least an inch of water above the turkey when you brine it. This is for an 18 pound turkey. Now here is the process I took. 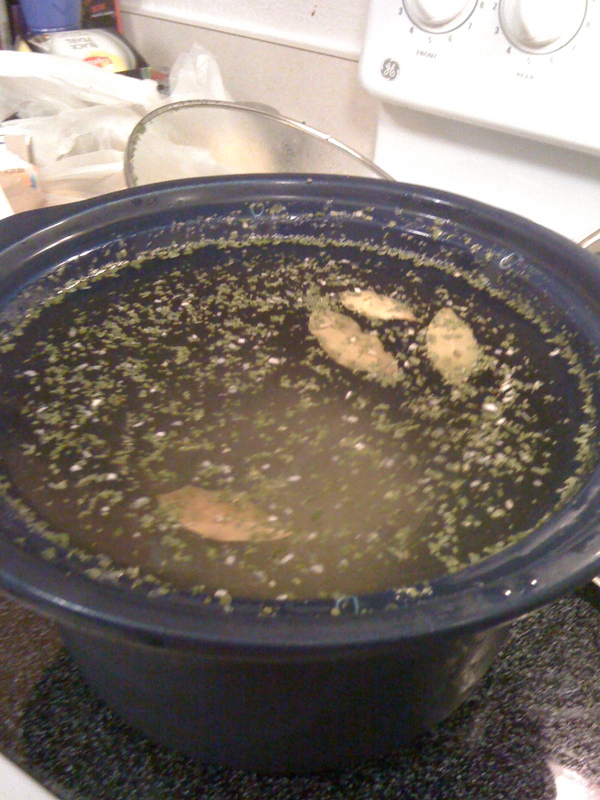 Two days before the big turkey day I prepared the brine. I put 1 gallon of water, 1 cup of salt, and 1 cup of sugar into a large pot. I then brought it to a boil so the salt and sugar would completely dissolve into the water. 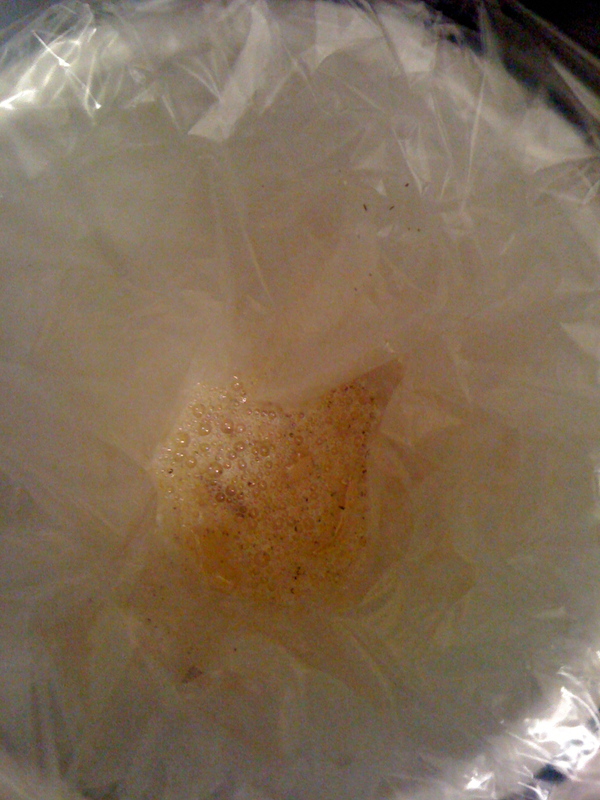 Once this was complete I added half the spices and mixed them together. I then moved the mixture into a large container to cool. I then repeated the process with the remaining ingredients. The following pictures are the results of the mixture. I then put these into the fridge to get cold over night. Now to brine a turkey you need to purchase a fresh turkey. It cannot be a frozen or kosher turkey. This is because with frozen or kosher turkeys they pre-inject it with a salt mixture to allow for the turkey to be moist when cooked. If you tried to brine a frozen turkey it would come out way to salty to eat. With this in mind I purchased an 18 pound fresh and all natural Butterball turkey. You can find these in the fresh meat department in your local grocery store. The one that I go to (Publix) puts them out no earlier then a week before thanksgiving. You will also want to brine the turkey for at least 12 hours. A good rule of thumb is 1 hour per pound but no more then 24 hours. I think 12 hours is plenty of time for the job to be done. 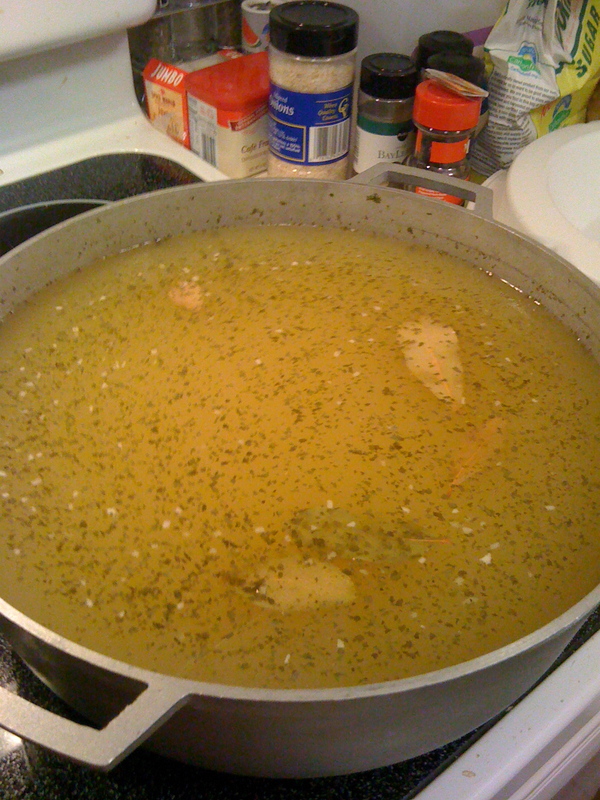 So the next night around 10pm I was ready to put the turkey in the brine mixture. They sell bags specific for brining but I had a hard time finding them. You can use XL Ziploc bags as well but yet again I could not find them. I did not have the time to order them online so I purchased 3 of the oven bake turkey sized bags. I also bought a large drink cooler to store it in overnight. You can use anything as long as it is plastic and clean. A bucket will work just as good. 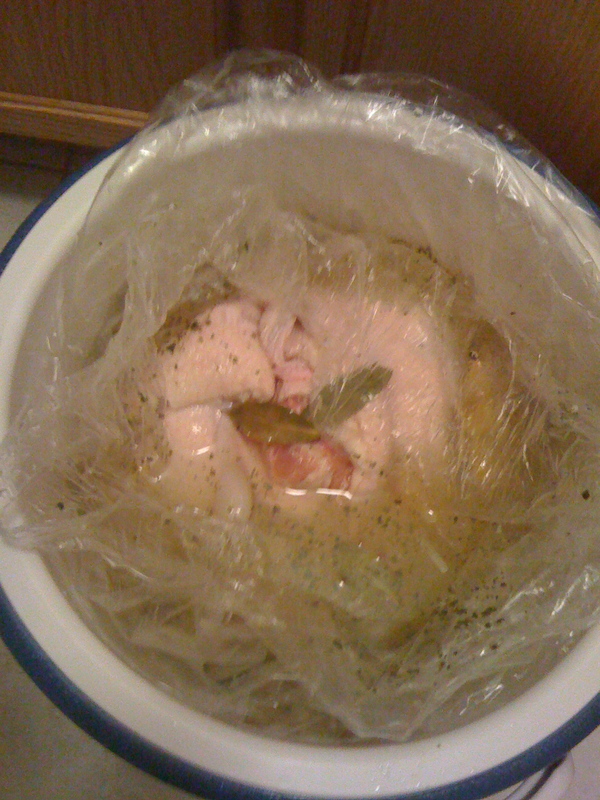 I lined the cooler with the three bags and poured the now cold brining mixture into the bags. I then placed the turkey in with the large hole facing down. 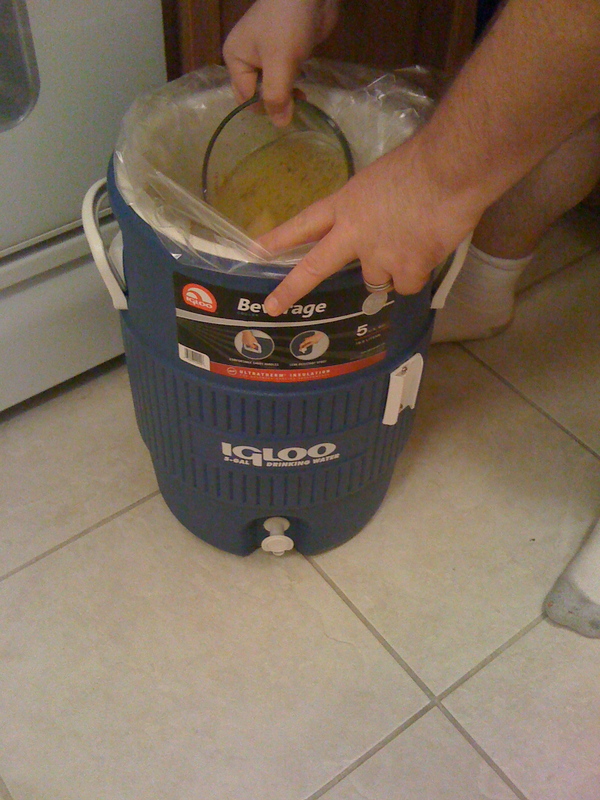 This was so I could make sure all parts of the turkey was being covered with the brine. You want to also make sure their are no air bubbles left. I then closed the top of the bags and placed a ziplock baggie full of ice on top to keep the turkey fully submerged and cold. Here are some picks of this part of the process. I left the turkey in the brine mixture inside my fridge for the next 12 hours. 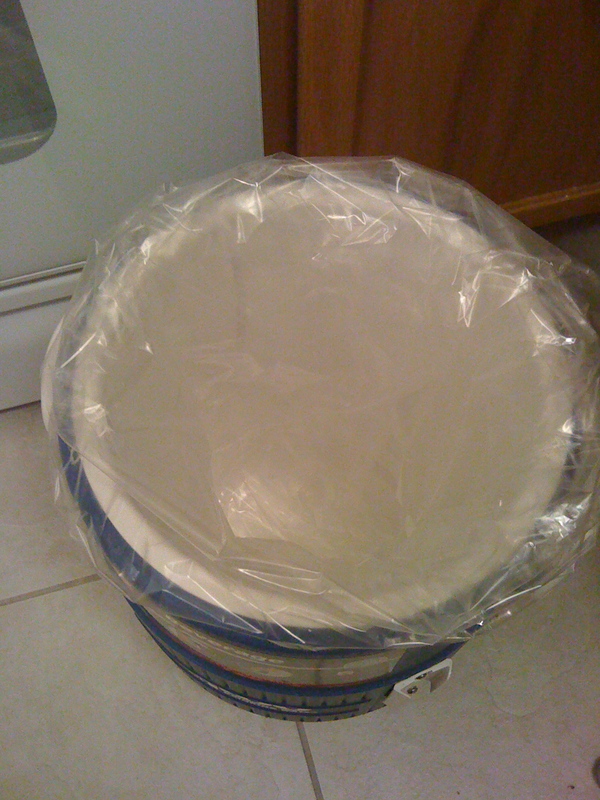 The next day I took out the turkey, cleaned off all the brine mixture, and pat dry the turkey to remove any remaining salts. 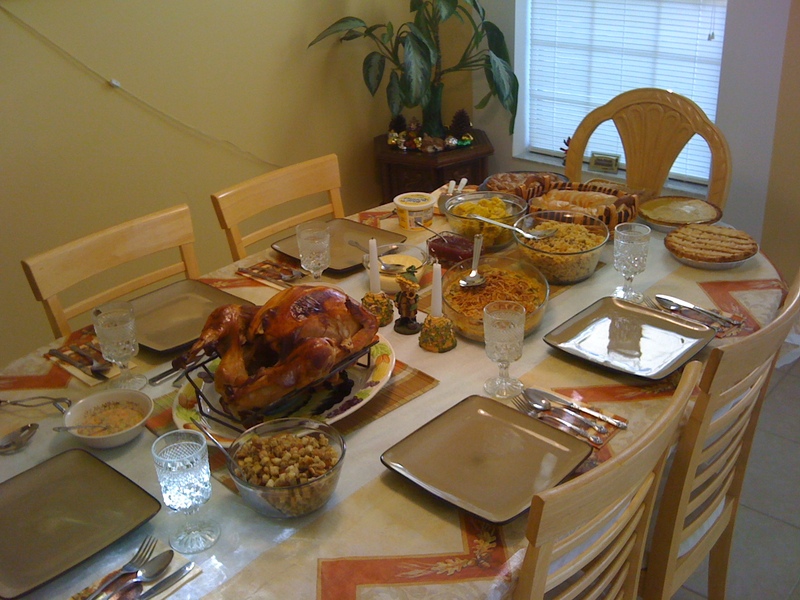 I then cooked the turkey as normal. 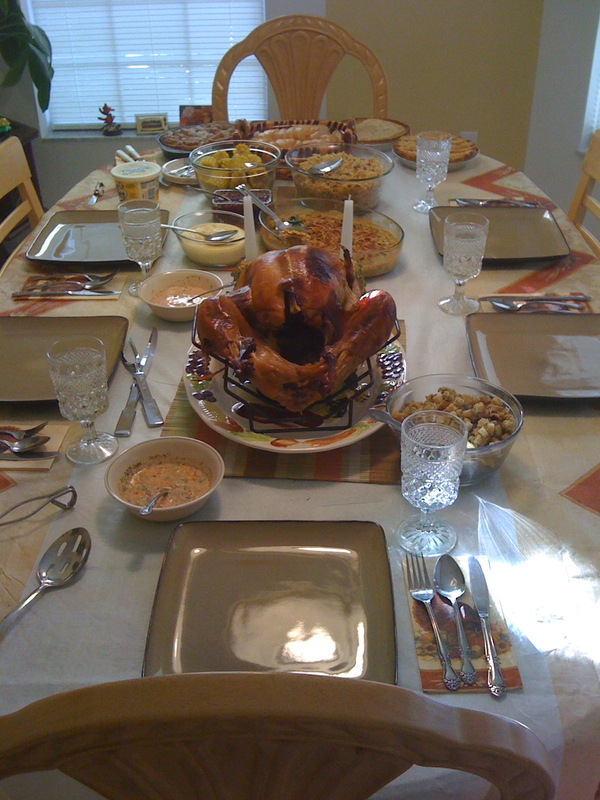 Four hours later I had a nicely done turkey! The turkey came out fantastic! 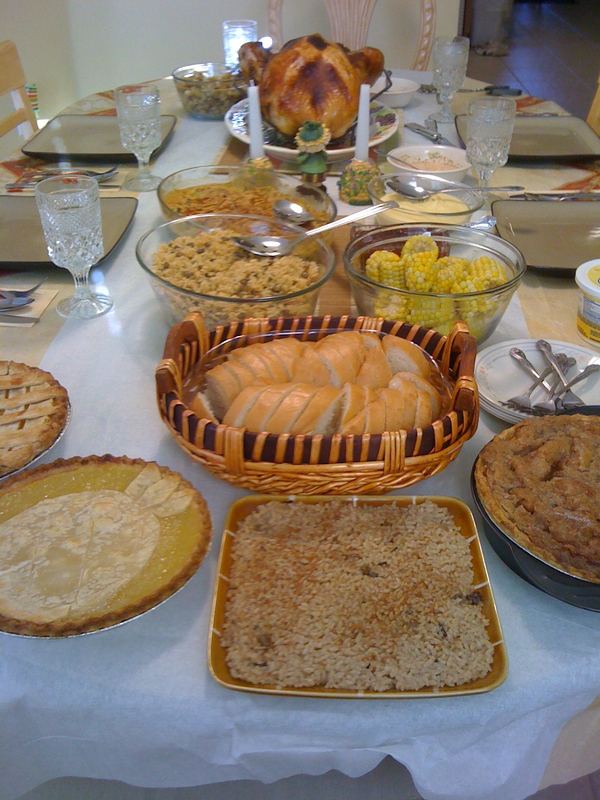 It was moist, had an excellent flavor to it and even looked good among the rest of the food. Here are some pictures of the turkey after it was cooked. Well there it is 🙂 My brining experience. I think the turkey came out better than ever and I am going to cook it this way from now on. I will be playing with the mixture of spices to get the perfect mix down! If you want to try this don’t hesitate! It is very simple and flexible. You can make any flavor you want. As this week has been hectic getting everything ready for the big turkey day I did not have time to prepare my weekly PHP Functions post. I will be back on schedule next week. I am going to instead prepare a post on brining a turkey. 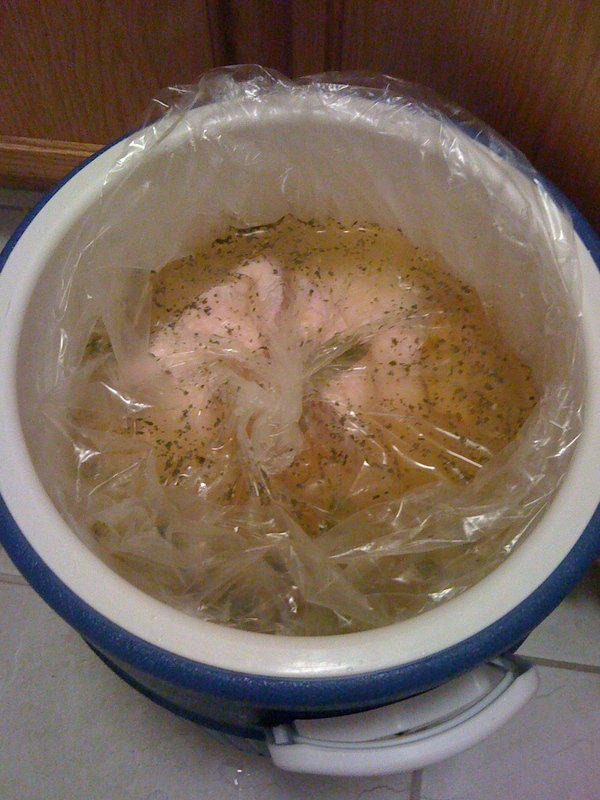 I had for the first time this year bought a fresh (non-frozen) turkey and took the challenge of brining the turkey before cooking it. It came out fantastic! I will have a post up describing the actual process I took tomorrow. For now I will leave you with this!